We are a group of local men who are committed to supporting our local community in Des Moines, Iowa. We come from all walks of life and different financial backgrounds. As individuals we felt that it was difficult to make a very large impact, but as a group we have the ability to contribute to the growth of our community in ways that we never before thought possible. Our mission is to reach out and help our community by finding 100 or more men to each contribute $100 four times a year to give $40,000+ annually to local charities. All charities and organizations up for consideration must be in the Des Moines metro area. The idea is to keep it local and have an impact that WE can SEE in our communities! 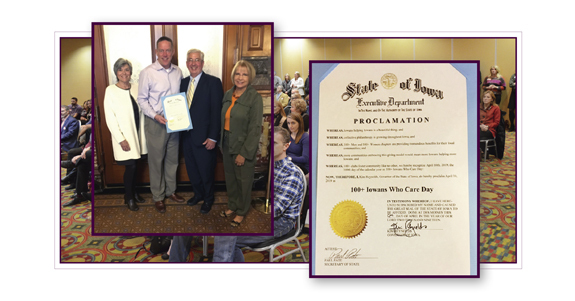 April 10th marked the 100th calendar day of 2019 and our esteemed Governor Reynolds has proclaimed it to be 100+ Iowans Who Care Day. This is in recognition of the amazing work that the 100+ Women's and 100+ Men's chapters are doing all throughout our great state. To all the men who have participated in the past and for those who will support us in the future, "Thank you!" Thanks to our sisters who were our inspiration for our chapter. You ladies rock Des Moines and we're proud to partner with you each February for our annual joint meeting. Thanks to Eric Hanson and KCCI for airing a very nice piece on 100 Men. Please take a look by clicking here. 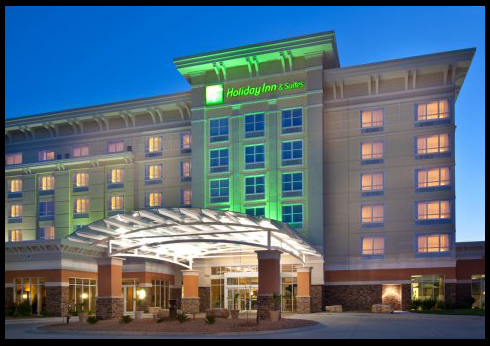 100 Men On A Mission would like to thank Holiday Inn & Suites in West Des Moines for being such a great partner and host for our meetings.